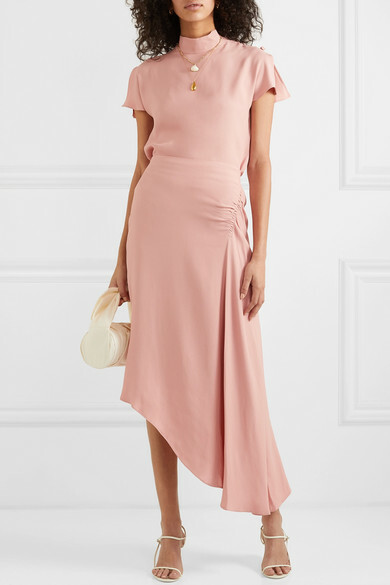 Inspired by women who have changed history, Australian-born Vanessa Cocchiaro started her aptly named Les Héroïnes label after struggling to find stylish bridesmaids outfits, but her designs are perfect for a whole host of occasions as well as weddings. 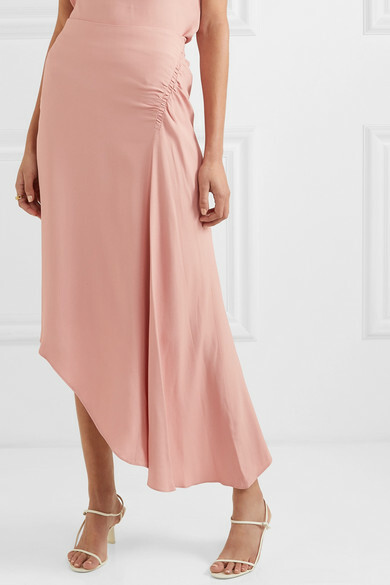 This 'The J.K' skirt is cut in a fluid asymmetric silhouette from washed-crepe and has ruching at the side to flatter your hips. 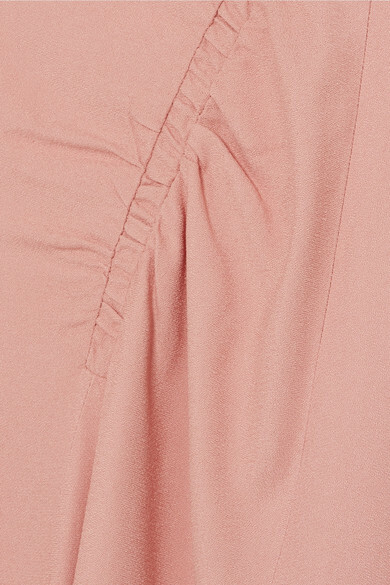 The pretty pink hue works well with other pastels and neutrals. Style yours with white strappy sandals. Shown here with: Les Héroïnes Top, REJINA PYO Tote, The Row Sandals, WALD Berlin Necklace, Sophie Buhai Earrings, Alighieri Necklace, Paola Vilas Ring.